The holiday homes are located in South County Dublin, in the orchard of the famous 200 year old Fitzpatrick Castle Hotel. Nestled in between the picturesque Dalkey Village and wonderful Killiney Beach. Surrounded by beautifully landscaped gardens, guests in the self catering accommodation are only a short stroll from Killiney Hill with its three hundred acres of natural unspoiled parkland. 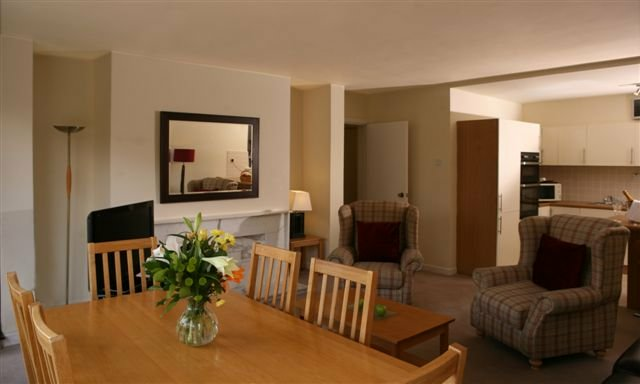 Fitzpatrick Castle Holiday Homes is a Gold Crown Resort with 9 luxurious apartments with self catering facilities, ideal for business or leisure traveller. The apartments are available for rent and/or sale on a weekly basis. All guests using the holiday rentals have full use of the hotel facilities next door, Fitzpatrick Castle Hotel, just a short stroll accross the carpark. 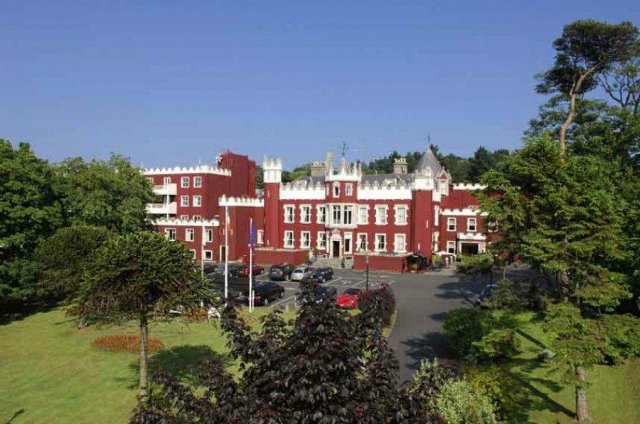 Fitzpatrick Castle Hotel is a 4 star hotel with a 20m swimming pool, fully equipped fitness centre, conferencing facilities, award winning restaurants, bar and lounge. 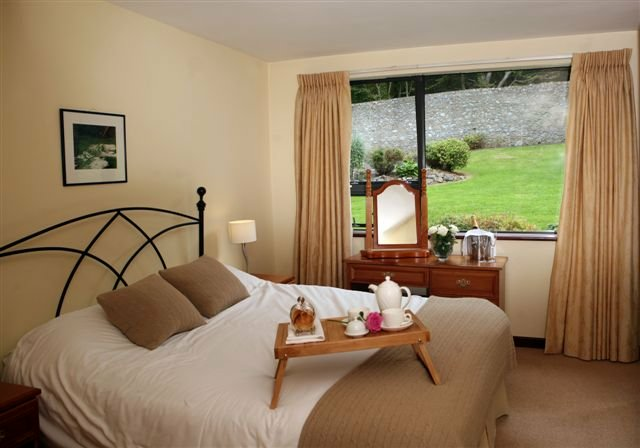 The Holiday Homes is a self catering resort in the grounds of the castle, while enjoying the tranquil setting of the apartments, guests have full use of the Castle Hotel facilities. Walk or fish on Killiney Beach, enjoy extraordinary views from the top of Killiney Hill, go sailing in Dun Laoghaire, golfing in one of the many courses nearby, or take the DART (20 minute train journey) into the heart of Dublin City and experience all the wonders Ireland's Capital has to offer. 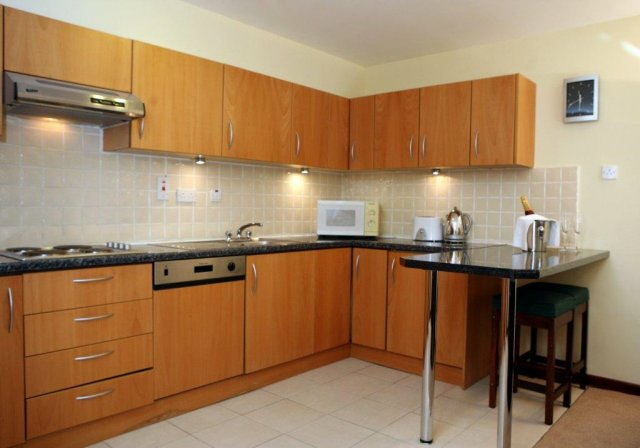 The self catering resort is approx 1 hours drive from Dublin airport, 4km (2 miles) from Dun Laoghaire Ferry Port, 17km (10 miles) south of Dublin City and is within easy reach of the main road networks into and out of the capital.